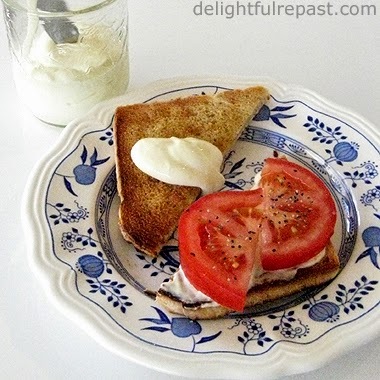 I made homemade mayo about a month ago, with a recipe very much the same as this. When I got done, I was scared to use it after the first day, so the rest was thrown out. I know, I'm such a chicken. This does look very good, Jean. Judy, you can't be a bigger chicken than I am - and I keep this for 4 days. A friend I gave a jar to the other day said he wouldn't hesitate to keep it longer - I'll let you know if they're still alive next week! Ha! Not even *you* - but if anyone could, it would be you! Mayonnaise is not really my thing, and I only made it a few times using my immersion blender. Your recipe sounds quite interesting and it has turned out pretty good too. Angie, I'm always so surprised when someone tells me they don't much like mayonnaise! My husband is one of them. I love it! This is a great mayo! I tried it on a BLT. Thanks, Joanne! I'm so glad you liked it! I've been craving garlic potato salad; as always, your timing is impeccable! Time to get crackin'! Eggs that is. Glad to be of assistance - especially when it comes to potato salad! I can't help but giggle about your and Judy (Cranberry Morn) comments. I thought I was the only chicken! Jean--I am so happy to see you putting out a basic recipe for mayo! Now I want your take on an Asian Salad Dressing like Annie's Shitake Mushroom dressing--but without the soy oil. You always have recipes that look good and sound good. Sue, thank you so much! I love those Asian flavors in a dressing, too. Glad that combination worked for you. Amy, thank you for commenting even though you don't like mayonnaise. We all have our different likes and dislikes. I have a friend I make sliced egg and dill tea sandwiches for because she is put off by chopped up hard-cooked egg in a regular egg tea sandwich. I’ll learn all that Cuisinart/homemade mayo stuff right after I learn how to use a thermodynamic plasma integrator to analyze samples from 18th-century pause patterns in Elizabethan and Jacobean poetry. 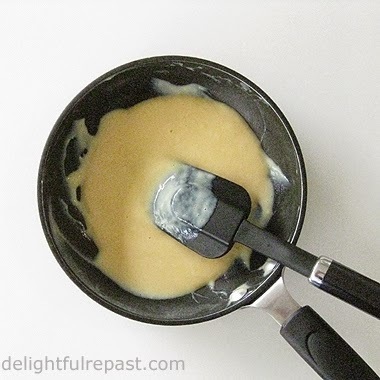 For sure, though, sauces play large on my radar and mayo is one of the best all-around, all-purpose beginnings… Your prep sounds artistic and lip-smackingly delish! I love mayonnaise, especially in my coleslaw dressing and when I make carrot and raisin salad. Thanks for a great homemade recipe, especially since many cooks are afraid to attempt to make mayonnaise at home. Thanks, Mairead! I love coleslaw, too - I should've made some with this! Giovanna, thank you! I hope you and your mom will try it soon. It's wonderful being able to have homemade mayonnaise again! 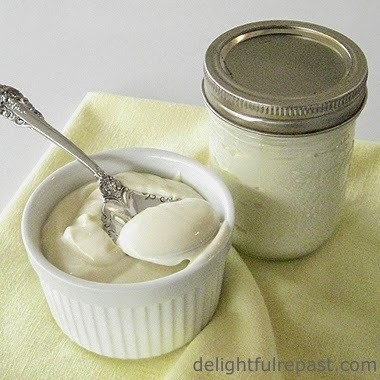 Nothing beats a good homemade mayo, and this one is perfect. Would make an ordinary dish extraordinary! Thank you, Bonnie! I just shared a jar with friends, and they loved it. She had tried an all olive oil recipe before and hated it. Greg, runny mayonnaise is awful. I know about that "lack of the gene" for something or "personality flaw" -- I have that problem with popcorn of all things! Sue, I'm with you on the soybean oil. And I only use *organic* canola oil. You have to be careful about olive oil, too, so I only get extra virgin. Let me know how you like the mayo! 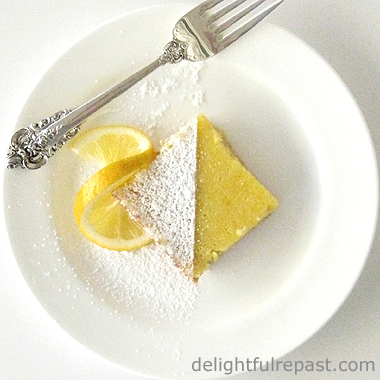 Great recipe - except for including Canola oil as an ingredient. Contrary to the myths, all vegetable oils are highly processed, they carry exceptional health dangers. Just stick with the olive oil instead of using the mix. The only fresh source of really unprocessed oil is always oily. Anonymous, thank you. I'll check out that YouTube, but I'll probably continue to include cold-pressed, non-GMO, organic canola oil in my mayonnaise. And I'd like to try avocado oil sometime. I just find the 100 percent extra virgin olive oil mayo to be too olive-y. But maybe I'll grow into it one of these days!